Race, gender, sexual orientation, ethnicity, and religion undoubtedy affect the way tourists are welcomed in a country. Traveling as an LGBTQ person has its ups and downs. To better understand some of the unique challenges and pleasant surprises that LGBTQ travelers experience, we chatted with expert traveler and blogger Meg Cale. Meg, who runs successful lesbian travel blog Dopes on the Road with her wife Lindsay shared many insights about LGBTQ travel. Here’s a glimpse into our discussion. Tell us about your travel blog, Dopes on the Road. When did you start it? 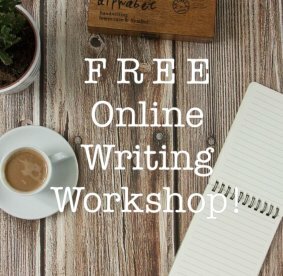 What kinds of writing do you feature on it? Dopes on the Road is a lesbian travel blog my wife and I started in 2014 while we were living in Seoul, South Korea. We write about LGBTQ travel and culture in an effort to make travel more accessible to the queer community. We originally started it as a way to keep in touch with friends and family while we were abroad, but it snowballed into something much larger because there was a need for travel content specifically for queer women. Mostly, our articles are LGBTQ specific travel safety tips, hotel reviews and destination-specific travel guides. What is it like to run Dopes on the Road with your wife Lindsay? Do you typically contribute similar things, or does one of you specialize in one thing and the other in something else? Working together full time has been an adjustment, but is something that we have both really come to love. Luckily, our skills and interests are very different so we make a great team. I do the public speaking, the business end of things, email correspondence and most of our think pieces. Lindsay handles most of the visual side of our brand, the photography, packing guides and lesbian travel guides. Of course some days are better than others – it’s definitely tough to spend 24/7 with another human no matter how much you love that person. Could you speak a bit about your experience traveling as a lesbian? Have you ever felt discriminated against? How did you handle it? As a femme, cisgender, and white queer woman I’m rarely identified as a member of the queer community when traveling alone, unless of course I deliberately out myself. When I travel with Lindsay, the situation is often much different because she’s 6″ tall, androgynous, and often very gender ambiguous. We’re often identified as a queer couple while together. But our biggest issues while on the road are more frequently centered around gender expression than our sexuality. At times we have to plan our entire day around where it’s safe to go to the bathroom because Lindsay is never sure how people will perceive her gender. On your blog you write about traveling to unfriendly places for LGBTQ people. Could you speak about this? As an American, I’ve never in my life understood the sentiment that people are not their governments more than I have in the last two years. There are LGBTQ people in every country in the world, even countries with oppressive policies. GLSEN’s research suggests that by knowing just one LGBTQ identified individual, people are more likely to be in favor of welcoming and affirming LGBTQ policies. Being out and visible exposes people to new ideas and reduces stigma. When we travel, we don’t leave our identities at home. How we interact with people in other countries leaves a lasting impression on them and on us. Every year we pick a loose theme for our content. Last year our theme was destinations that either are or are perceived to be anti-LGBTQ. One of those destinations was Egypt. We decided to go on an organized group tour that caters to millennial travelers because we thought we’d be safer in a group. We did the Contiki Egypt & the Nile Tour. I can’t lie: we were super nervous because of Egypt’s complicated policies with LGBTQ people. We went because we don’t believe that LGBTQ people should be barred from experiencing the world. Nearly half of the world’s most culturally and historically rich attractions are in anti-LGBTQ locations. In the end we were perfectly fine and thoroughly enjoyed our trip. However, the choice to travel to anti-LGBTQ destinations is a deeply personal choice routed in one’s own values. Everyone in the community has to decide what works for them and what doesn’t work. What is essential for LGBTQ travel planning? The key is doing your homework before you leave on the trip. You’d be surprised how many times we’ve had LGBTQ people book honeymoons to places that are well known for being anti-LGBTQ and had a less-than-welcoming experience. There are tons of places I’d travel on an average vacation that I wouldn’t suggest for a romantic trip. If it’s your honeymoon, pick somewhere that’s welcoming and affirming. Generally, a simple Google search will give you a pretty good idea what you’re dealing with. Once you’ve collected some information you’ll be able to gauge if its a destination you feel comfortable traveling to. Any other LGBTQ-friendly travel destinations that you would recommend? This is really hard to narrow down, we’ve visited a lot of incredible places. Three countries that immediately come to mind are Thailand, Spain, and Canada. We love Thailand so much that we are actually taking a group of fellow LGBTQ travelers back with us in October.